Imagine an art market in which existed an industry-wide registry of all traded works of art, complete with cataloguing details, certificates of authenticity, provenance records and sale prices. Such a vision may seem contrary to an industry known for its opacity, but it was nonetheless proposed last week by Anne Bracegirdle, a specialist in Christie’s photography department. 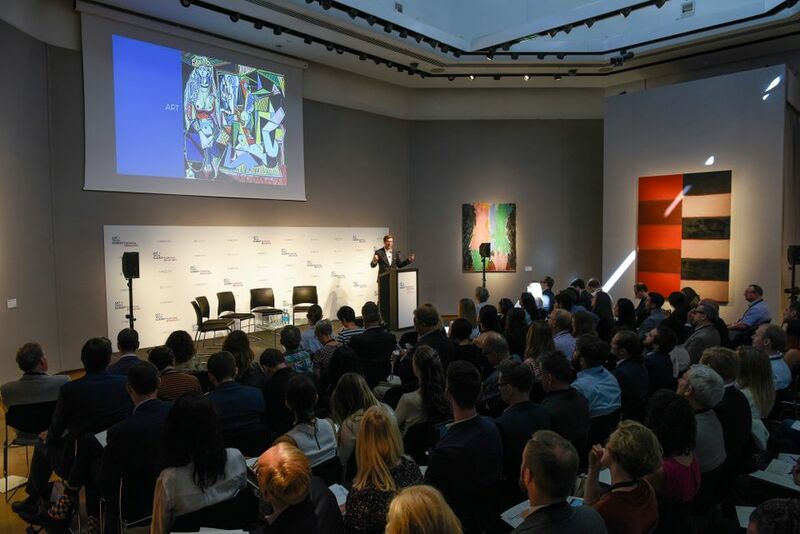 Speaking at Christie’s first art and technology summit, dedicated to blockchain and co-organised by the online art platform Vastari, Bracegirdle outlined how the technology’s permanent, immutable record-keeping properties could revolutionise the market. “There is currently no singular record of all fine art purchase prices; some results are withheld from popular databases, such as buy ins, after sales and online sales. Equivalent databases for retail prices and private sales does not exist,” she said. The idea, Bracegirdle said, is that auction houses and galleries “would feed verified information onto this blockchain that would be accessible to all clients”. Elements such as insurance, shipping, appraisal requests and copyright issues could also be streamlined on the blockchain, she said. Blockchain could negatively affect the secondary market, said John Zettler, the co-founder of the RARE Network, a platform for artists to sell their digital works. He cautioned that smart contracts, which execute and update themselves, “can do all the clearing of the secondary exchange”. They also offer artists a percentage of secondary market sales, potentially solving the thorny issue of resale royalties. Zettler said the primary market was not at risk, however, “because galleries help ascribe value; they vet artists, nurture a collector base and then help sell art”. In an increasingly financialised art market, opportunities are cropping up in other areas such as lending against digital goods and tokenisation, whereby portions of masterpieces are traded like assets. Niccolò Filippo Veneri Savoia, the founder of Look Lateral, a start-up aiming to develop fractional ownership of works of art, said tokens could be sold several times a year. “The crypto world will bring huge liquidity,” he said. Bracegirdle said tokenisation will greatly expand the market and give more people the opportunity to engage in fine art as an investment asset. “One could even envisage a future where people bid on a portion of an art work at auction,” she said. Such enthusiasm was tempered by skepticism among several other speakers. Regulators are grappling with issues of data privacy, cyber security and competition laws, according to Jonathan Kewley, a London-based technology lawyer who predicts global regulatory oversight to be a major stumbling block.